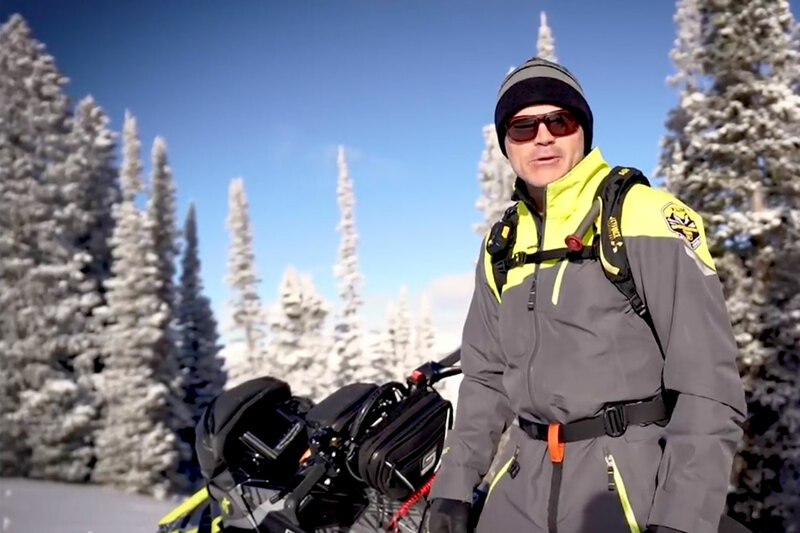 Hundreds of people including members of the media will go snowmobiling for the first time this winter thanks to the OFSC Go Snowmobiling Give It A Try Tour, produced by Digital Video Productions. As a major Go Snowmobiling Campaign initiative for 2011, the Give It A Try Tour will put first timers and reporters on new sleds from Arctic Cat, Ski-Doo (BRP), Polaris and Yamaha for a fun-filled snowmobiling experience. On the road with Ocean Transport, the tour is scheduled as follows: Haliburton (Pinestone Resort) January 27 to 30; Wasaga Beach (Wasaga Sports Park), February 3 to 6, and February 10 to 13. Best of all, Give It A Try is absolutely free, but participants must register in advance at www.tryriding.com. "Research by the International Snowmobile Manufacturers Association has shown that the biggest deterrent to getting started in snowmobiling is not being able try it first," said OFSC Go Snowmobiling spokesperson, Josh Grills. "Our major objective and the primary benefit of the Give It a Try Tour is to make that all-important first taste safe, affordable, accessible and fun." The 2011 OFSC Go Snowmobiling Give It A Try Tour, sponsored in part by Goodyear, involves local media, snowmobile clubs and sled dealers. Since inception in 2008, the Tour has introduced about 1,800 newbies to snowmobiling. Following pre-ride safety instruction and practical sled orientation, participants go on their free ride in a controlled, supervised setting, wearing gear provided by Choko Design, Baffin boots and Royal Distributing. Murphy Insurance and Financial Services is providing ride insurance. Go Snowmobiling promotes the lifestyle, experience and fun that trail riding offers Ontarians every winter. Its purpose is to grow snowmobiling by attracting new participants, persuading former riders to return, encouraging casual snowmobilers to ride more - and by urging everybody to do their sledding here in Ontario.